All I could do was wait for an appointment, and in early August I got the letter that I’d been waiting for. Not a Hogwarts Letter (because we all spend August hoping it’s our year, right?) but a follow-up appointment for the 11th September, back at St Paul’s Eye Unit. As the date rolled around, two days before Dave and I were due to fly out to Athens for two weeks, I almost considered not going, as my eye was more or less (I’d say about 95% ish) back to normal by then. It didn’t cross my mind that there would be anything underlying. In terms of the progression of it, it had probably only continued to get worse over a two to three week period, remained as it was for a week or so, then got better within another two. I don’t think things were “wrong” for more than six weeks. My Mum spotted the connection. Six weeks was the same duration as my “dizzy periods” four years earlier. She suggested that they might be linked, but I told her I couldn’t see (I know – I’m so funny!) how they could be. Mum’s are always right though aren’t they? Out of morbid curiosity about what on earth had happened, I decided to go to my appointment. It was for 1.45 in the afternoon and I was called in for a couple of initial tests really quickly. I passed the ones I had failed so miserable just two and a half months earlier, with flying colours. My vision was back! My high spirits didn’t last too long as I waited for an hour to be taken back in for a field vision test. I had to stick my head in this white box thing and click this device that they put in my hand everytime I saw a little light flicker – it could pop up anywhere. Then I was sent back into the waiting room. After a lot of sitting around, I was finally called in to see the opthamologist at 4.15 pm. My high spirits at passing all the tests had long gone – I was really mad that I had an appointment time but still had to wait 2.5 hours to see someone. He was very apologetic for the long wait that I’d had and started off by asking how my sight was now. I told him that I felt that was about 95% there. He then told me that they’d diagnosed what had happened as Optic Neuritis. He explained that it was nerve damage to my eye. The myelin sheath was damaged which in simple terms meant that if you liken your nerve to an electric cable, the insulation had worn away. My eye was short circuiting! The good news was that my body, being the amazing thing that it is, had repaired it, but I was told that 95% is probably the best that I’d ever get. Sounded good to me! I could live with that. The thing is, he wasn’t done. Finding what it was, wasn’t enough. He asked me if I suffered from mood swings. I said, no more than the average person (all the while thinking it was a stupid question after he’d made me wait 2.5 hours), and that leg tingling question came up again. And then he changed my world. I must have gone into shock. I was still so happy that my sight was back, I may as well have just asked if I could have fries with that! He asked me what I knew about the condition, which was probably about the same as anyone that has had little to no contact with it. I knew of two people with the condition. Both in a wheelchair. Both people suffering badly. The kind of people where a hint of sympathy, or perhaps pity, enters people’s voices when they’re mentioned. Surely that wasn’t going to be me? I told the doctor the extent of my knowledge and he told me not to compare myself to people I knew. The prognosis for me was probably quite good as I’m young and active. Plus, medicine is advancing all the time. I said thanks to him and left. The second I walked out of his office, everything that had just happened hit me. It was so hard to hold it together until I could make it out of the hospital. Then the floodgates opened. Despite how incoherent I was through the tears, I immediately called my Mum, followed by Dave and then Steph, my manager. Distraught does not even begin to cover how I felt and I don’t think I’ve ever cried like that in all of my life. It’s difficult to describe, but the use of the word “we” suddenly made everything easier. He was in it it with me and I wasn’t alone. He has been the difference in all of this. He’s my strength. He’s the one who catches me when I fall (literally). He’s the one that comes to my appointments, and he’s the one who listens to, and comforts the tears. I could have done it without him. I’d be selling myself short to say I couldn’t. But without him by my side, I don’t know if I could remain as strong as I do. It would have been far more of an uphill battle. Find you tribe. Love them hard. Over the years I’ve had some phenomenal friends. I’ve also had some pretty rubbish ones. I’ve told you about my soul sister, Lucy, before. Now I want to tell you about my girls, in the spirit of International Women’s Day. Because they all lift me up and make me a better me and they are remarkable women. When I moved up North, whilst I knew I didn’t know anybody, I never really appreciated how hard it would be to make friends. I made friendships at work but they were friendships of convenience. I met people who were so welcoming and introduced me to their friends. But they’d all be friends for years and it’s tough to forge a friendship with people who have such a long existing bond. However hard they try to make you feel welcome, you’ll probably still feel an outsider. I made some great friends “for now”, but we drifted apart as our lives drifted on. Then I made some friends where the friendship became too intense. With the demands of my job and having to travel all over the UK for work, it’s difficult for me to have friendships where you’re constantly in contact. Once I’d met Dave, juggling friends, work and him became too much, and my friendships suffered as a consequence. High maintenance friendships are not my thing. I don’t mind not seeing my friends for a few weeks and then having LOADS to talk about when we do see each other. Jayne is my longest standing Northern friend and we met via Twitter. Back in 2012, she asked if anyone wanted to go to the “Guide Dog Convention” with her, or maybe I asked it (it’s not really a convention but it’s what I now fondly refer to it as! It’s actually an open day at the Guide Dog Centre in Atherton, where I used to live). Whichever way it happened, one of us responded to the other and off we went. And our friendship has blossomed ever since! Jayne is ace. She’s a single mum to 13 year old Olivia, and I cannot even begin to imagine how tough that must be. On top of that she’s a Nurse. And Wonderwoman. Ok, I made that last bit up but she may as well be. She’s run a marathon, something I can only ever wish to do, and she’s the most kind hearted soul I’ve ever met. I already followed Clare on Twitter but didn’t really have much to do with her. I was intimidated by her perfect eyeliner and opinions. I’m pretty sure she thought I was just like them idiots from TOWIE. We spoke a bit that day, but I was there with Dave and his family so spent most of my time with them. She wasn’t as scary as I first thought though, but beyond that, nothing really changed in our interactions with one another. That was until November, Clare messaged Jayne asking if she and I wanted to go to the Gin Festival in March. My response was along the lines of “yeah, why not. I don’t like gin but I’m up for a day out!” By this point, much as I loved Dave, I wanted and probably needed a solid group of female friends. I envied people who had such a close circle of friends. Gin Festival, which I’ll tell you about in another blog very soon, was the day I met Clare’s sister, Louise. Louise is my inspiration. She was recovering from a brain tumour at the time and seemed to me quite shy. But all I could see was this unbelievable survivor. Louise is one of my most favourite people ever. She just doesn’t care. She doesn’t care what people think. Nothing seems to phase her. She’s forever tagging me in memes on Facebook and Instagram that are along the lines of that message. It’s slowly sinking in! We had a fab day at the Gin Festival and I felt that I’d found some friends, as well as a new found love for gin. In 2016, we went again although this time, Clare’s friend Jaye came with us, as well as Louise’s best friend, Helen. They joined us on what was soon to become our annual outing. On the 24th September 2016, we went to a beer and prosecco festival in our home town of Wigan. The reason this date sticks in my mind so much is that it was the day before my 30th birthday, which was coincidence rather than a planned celebration for my birthday. We were having a brilliant time, and by this point, a friendship had really started to form, but we didn’t really see much of each other outside of gin related activities. I don’t think that we had dome anything but get drunk together! I even referred to them all as my “gin girls!” On this day, Yamit was to become one further “gin girl”. A little bit tipsy from all the prosecco (I was turning 30! I could do what I wanted!) I proclaimed my love to all of them and told them that even though I’d considered them the girls I drank gin with, I felt that they were my real friends. They were so much more than just company for the gin festival. I don’t know if the others felt it, but my drunken statement seemed to shift something in our friendship at that point. Clare and I in particular have grown really close, and I’d definitely say that she’s my closest friend these days. I sometimes liken my friendship with her, to like what blokes have. You know, where they hurl abuse at each other all the time? Friends like her are exactly what I need in my life, especially right now. She posted on her instagram today, saying that I always have a smile on my face, no matter how tough life gets. But it’s my girls, and in particular her, that help that. They don’t let me feel sorry for myself. And despite all the good natured abuse, I know that they care.. We all do. As a bunch of girls group of women, we’re diverse, but we’re also so similar. We have so much going on in our lives that we don’t have lots of time for each other, but that works for us. We respect that. We all enjoy working and have careers that keep us busy. Jayne and Louise are both bringing up their own two amazing women as well. The one thing I do know though, is that if I called any of them needing their support they would be their instantly, without question. It may have taken me 30 years to find them (which was the best birthday present ever by the way! ), but finding friends like these was well worth the wait, and I honestly can’t see them ever NOT being around. I promise I’ll get on to telling you what MS actually is at some point soon – but for now I want to tell you the story as it has unfolded for me. In June 2017 I was at Poppy’s play date. As is typical in the UK, the fact that it was June, didn’t stop it from raining. I was stood on a hill watching Poppy play with her buddies, Dexter and Til when I got (what I thought was) some rain in my contact lens. I wiggled it around a bit, sometimes that fixes it, but no luck. I’d slapped my make up on in a hurry as well that morning so perhaps I’d managed to get some foundation or mascara on my lens. That certainly wouldn’t be a first. I carried on with this irritating, slight lack of focus into the next week. Making excuses such as “oh, I’ve just put them in back to front”. It wouldn’t be the first time I’d put the left lens in the right eye and vice versa. I have different prescriptions for each eye so this obviously causes me problems. On the Thursday, I was trying to read the serial numbers off some computers and was really struggling. I REALLY knew there was a problem when in our team meeting on Friday I found myself having to walk right up to the projector screen on the wall to see what was on it. Saturday, we were back at Poppy’s play date and I could tell that whatever was up with my vision had got worse. Those of you that are contact lens wearers will appreciate it feeling like I’d not bothered to put my contact lens in the left eye. If I covered my right eye up, everything went grey in my left. I had limited peripheral vision still but I couldn’t see straight ahead. If I looked directly at you, I could see you from about chest downwards. The gravity of what I was losing hit me like a ton of bricks and I broke down in tears once we got home from Poppy’s play date. I was really lucky and managed to get an appointment to see my Optician within a couple of hours. When trying to read the letters off the wall out of my left eye, I couldn’t see a thing. My optician said based on all the photos he took of my eye, he couldn’t see anything wrong with it, but also said there was clearly something very wrong because I couldn’t see. I felt so relieved at this – at least I wasn’t dealing with a detached retina. He referred me to Boston House, a branch of the hospital and the eye specialist in Wigan, for further tests. He also suggested, if it got any worse in the meantime to self refer to St Paul’s eye unit, at Liverpool Hospital. By Tuesday evening, I’d still not heard anything from Boston House about an appointment, and I was pretty hysterical. Following a conversation with mine and Dave’s line managers, it was agreed we could take the day off from our respective jobs to go to St Paul’s in Liverpool. That first day in outpatients, went on and on. After going through Triage, I was eventually seen after almost 1.5 hours. They prodded my eye about, putting every drop in my eye you could imagine, and making me (attempt to) read coloured blobs with numbers hidden in them, and the letters off the wall. Where my left eye was concerned, I failed every single test miserably. My least favourite experience is where they dilate your pupil. They put a drop in which opens your pupils right up, so that they can get a good look at your eye. Kind of like this guy, except waaaay less cute! Your pupil being dilated, means that there is a hell of a lot more light going in than usual, and you’re in a brightly lit hospital waiting room. It REALLY hurts! Anyway, I digress. After all that prodding I was informed I needed to come back the next day as the department that could take a photo of the back of my eye wouldn’t be in until then. But not before I’d been asked if I had any tingling in my legs. Now, if you’ve been following my blogs so far, you’ll know that yes, I did have tingling in my legs. So obviously I lied and said no. To ask such a seemingly unrelated question frightened me. One, why are you asking me that and two, how do you know that?! I duly arrived at the hospital the following day for an appointment to have photos of the back of my eye taken. I was then introduced to an opthamologist. She informed me that I actually had lovely looking eyes that were pleasant to look at, whilst asking me if I’d been Googling my symptoms. I told her that I’d stopped as Google may as well have just told me that my eye was going to fall out, and I didn’t have any interest in that rubbish. She laughed and asked me if I was experiencing tingling in my legs. There it was again. It didn’t really enter my head that this might be a really important question to answer and it definitely didn’t enter comprehension that lying about it wouldn’t change it. She told me she couldn’t see my optic nerve, the bit behind my eye, and she wanted to send me for more tests to uncover any problems there. She assured me that just because she suspected my problems were nerve related, it didn’t mean anything sinister. Just a day later, on Thursday, I got a call from the hospital asking me if I could go in for an evoked potential test the following Monday. I couldn’t do Monday. I needed to be in Nottingham for a really important meeting, so I asked for the next available appointment, which was in two weeks time. I got off the phone and Deb, who I work with, told me I was an idiot for not putting myself first and to get back on the phone and see if I could take the Monday appointment. As it turned out I could, so on Monday I found myself back on my way to Liverpool to have a bunch of electrodes put on my head, around my eyes and in my eyes. The electrode, it just felt like an eyelash stuck in my eye. But honestly, if you stick something resembling a stray eyelash in someone’s eye and then tell them not to blink, you’re asking for trouble! I couldn’t stop blinking, and I’m pretty sure I made the nice Irish doctors job very difficult. He stuck electrodes anywhere he could on my head, and then made me watch these really weird moving images. They looked a bit like those magic eye things we all used to do as a kid. You know, with the hidden 3D drawing? The idea is that the images put your eye under intense stress, and the doctor gets to see how it responds. I was pretty sure that the images would hypnotise me or something! Maybe he did hypnotise me or something, because when I was asked (yet again) if I had tingling in my legs, I answered truthfully. Apart from an invite to an MRI scan on my head, this was the last I heard for a little while. Whilst I understood that the MRI was on my head, I just thought of my eyes. I never actually made the connection that it was on my brain. Perhaps if I had, I would have realised what I was dealing with, but I simply didn’t. I’m always cold. For as long as I can remember, I’ve always felt cold. Except for when I’ve been boiling hot of course. I’ve struggled to regulate my body temperature for most of my life. Sometimes when I’m exercising, I completely overheat, particularly on a hot day. My personal training sessions with Sam are only 30 minutes. In my four years training with her, on two occasions I’ve had to stop at 20 minutes because I’m seeing stars and want to throw up. Not like I’ve over-exerted myself. No. This is different. Now, in the last 18 months or so, the night sweats have started. The worst thing about these is that I feel freezing, and all the while, I’m sweating buckets. I’ve always struggled with regulating my body temperature though. It’s just one of those things. Nothing to read too much in to. The day I got told that I might have MS (I’ll tell this story properly in another blog), I was asked whether I suffer from mood swings. Well, at the time I answered with a definite “No!” What woman wants to be accused of mood swings? Upon reflection however, this is definitely something that is a bit of a theme with me. I’m a ranter. I’m also a crier. I cry in both sadness, and with laughter. Sometimes when I cry with laughter I get really confused and start sobbing with sadness. It’s a strange experience for both me, and anyone that witnesses it. I’m pretty sure Dave thought I was a complete fruit loop the first time I did it in front of him. The trouble is, it’s unlikely we’ll ever define that that is a result of MS. It could just be “Jo”. I’ve accepted that as “Jo” for the first 31 years of my life, so it doesn’t matter what the answer is, but needless to say, I’ll probably always wonder. The “window-shelfy thing” is another example that sticks in my mind of things that weren’t quite “right” with me. I have always been academic. I was a straight A student, I have an upper second class honour law degree, and I passed my Bar exams with a Very Competent. I’m good with words. I have a great memory. I have awesome recall. Or do I? But I don’t forget words. It’s not something that I do. It’s funny, because of all the random symptoms (not relapses) I explained away pre-diagnosis, this is perhaps the one that distressed me the most. I’m still trying to work out why. Maybe it’s because I’ve always prided myself on being “academic”, and this kind of thing coming so easily. Like with my emotions, there’s a very real possibility that all of my excuses for this particular “brain block” are absolutely correct. Equally, I can’t ignore the fact that MS can affect cognitive abilities, like recall of words. The more I write these blogs, the more I see how many things with my body haven’t been right for a very long time. These symptoms haven’t just appeared as a result of my diagnosis. I didn’t not feel them before. I just excused them away, without any medical or scientific justification for years. My excuses and explanations have been taken away from me though. I’m sure as you have read this, and Part 4 of my story, you’ve wondered what the big fuss is. None of these things are huge (apart from maybe the MS hug and the fatigue is tough) but they’re there. Hanging over me, everyday. You’d be right to wonder what the big deal is. But the big deal is, that all these little symptoms mean that every so often a relapse will happen, and I really will find life tough when that happens. Equally, all these little symptoms are nothing more than a mild irritant at the moment but they might get worse. They might become more than just irritating. But they might not. I don’t know. The nature of MS is that it’s that unpredictable. I see little point in worrying about that though – it’s out of my control. If there’s one thing I would love people to take away from my blogs, it’s to not ignore your body when things don’t seem right. There is absolutely no harm in getting it checked out. I don’t want you all to turn into hypochondriacs, but if things don’t seem right, don’t ignore it! The trouble is, all these little symptoms didn’t seem serious. They all came along over such a long period of time, that I was used to them and just accepted them. But some things just cannot be explained away. A few months ago I was in Sainsbury’s and picked up a book. It’s called “Five Minutes in the Morning – A Focus Journal”. The idea is, you take five minutes in the morning (duh!) to take stock of the day. Check in with yourself and how you’re feeling. Set some intentions for the day. I’ve not used it really – it’s such a beautiful book, that I didn’t really want to write in it. I do like “workbook” style things though. I like having something to do. Now even though this is designed for in the morning, I think I can get so much from this at any time of day. So this evening I completed the first activity. An exercise to start writing. “Hi, I’m Joanna, but most people call me Jo. Except Dave. He calls me Joey. Dave is my other half and he very much completes me. We’ve been together for five years and have a little boxer doggy called Poppy who’s three. In my spare time I enjoy reading and writing (I have a blog), and going to the gym. I’m a bit of a fadder, but that just means that I never get too bored! In my spare time, I work for a big energy company in learning and development. I’ve done it for 13 years and genuinely love it! I’m originally from Essex, but moved to Wigan 8 years ago, which is the best thing I’ve ever done. I reflected on what I’d written. I feel it’s a fair insight into me but I’m also shocked by what I’d missed out. My love for gin, herbal tea and coffee is missing. Happily, I don’t let my recent diagnosis define me; I felt no need to mention that in my introduction. After my first experience with this book, I’m definitely going to start using it more. If you’re interested, I managed to get another couple of them on Amazon for £4 – they’re easy to get your hands on. I gifted one to Kate as she shares a love for writing and I got the feeling she’d enjoy using a similar kind of book. I think it’ll be really nice to dip in and out of occasionally, and give me a little pre-blog warm up or inspiration! Have a go at this activity yourself – I’d love to read your five minute introductions. Ever since my “dizzy” episodes, my balance has completely died a death. But now, I am a girl who goes out for a walk and might fall over 5 times. I am a girl that goes to a Zumba class and falls over her own feet. I go to step aerobics and trip over the step and fall spectacularly on my arse. And I’m a girl who can’t walk 10 feet over “there” without clinging onto Dave for dear life because I’ll probably have some kind of misplacement of my feet that will probably end in a face plant! In fact, my balance is so bad, I can be stood and almost go flying for no apparent reason at all. I literally struggle to stay stood on my own two feet. I have this noise that I make when I have a wobble that I can’t really explain. But Dave probably hears it more times than you can count on one hand over a weekend. It’s just a kind of “uuuhhhhh” sound and it’s not very flattering! Along with a distinct lack of balance these days, and occasional lapses in coordination, somewhere along the line I started having phases where I slur my words. This is mostly noticeable at work when I’m training. I have days where the words just don’t come out in the right order or without all joining up. Probably about 18 months ago, I mentioned to Sam that I was struggling to really take a deep breath. I was yawning but struggling to hit that sweet spot. I felt like someone had a grip of me around my breast bone, and was squeezing. I just couldn’t quite catch my breath properly. 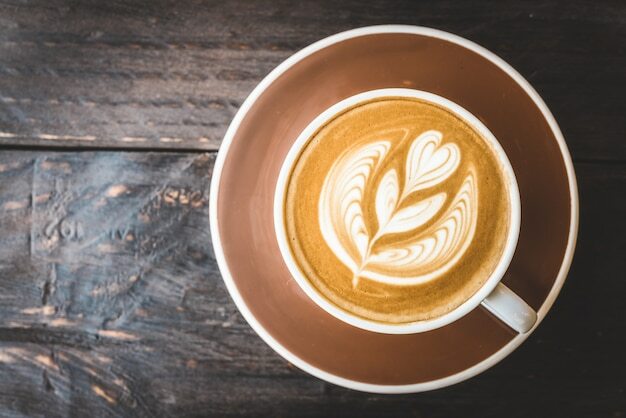 She’d heard of this being a problem in people who had a sensitivity to caffeine, so she suggested that as an avid coffee drinker, I should switch to decaf. I did this immediately – I don’t drink coffee for the effects, it doesn’t stop me being knackered so it wasn’t an issue for me. Within a day or two, the squeezing sensation was gone. Result! Problem solved! I trickled back into the habit of caffeine though within a couple of months. And guess what? Sensation re-appeared. So what did I do? Obviously I knocked the caffeine on the head again. But I didn’t go back to caffeine this time and it still happened. Of course I did nothing with it though. It was just something that happened sometimes, and maybe I was just THAT knackered that I struggled to get a proper satisfying yawn. No amount of yawning was going to satisfy me. Yes. That was it. And then I got told that I might have MS.
As any normal human being, I did the thing where you go and look up all the symptoms, particularly as I didn’t really have a clue what it was. I was glancing down the list and so many of the weird “glitches” with my body that I’d put down to getting older, putting on weight and working too hard in the gym were being given a “proper” answer. As I read down the list, I saw it. The MS hug. So that’s my so-called caffeine problem explained – BRING ON THE EXTRA SHOTS IN MY LATTE! On the subject of caffeine, I mentioned before that it does nothing for me and perhaps that’s another link in to MS. The fatigue can be like you’ve never imagined or experienced. When I am really fatigued, I suffer from real lapses in concentration too. I’ll forget what I’m talking about mid-sentence. I don’t mean just losing my thread. I mean I literally forget what I just said, who I am and where I am. I struggle to hold focus in conversations with people. I zone out. I know I’m doing it, but I struggle to find my way back. The explanation for this come as somewhat a relief. I felt so ignorant for how I behaved sometimes. I still do, but it comforts me that there is at least a reason for it. I don’t see it as an excuse though. For me, it’s something in my behaviour that I need to learn to be conscious of, and to manage it. The “how I do that” is still unanswered and something I’m exploring with myself. I could go on and on about all my possible symptoms of MS, and how I excused them until I was diagnosed. I’m sure you’re noticing that I had all the excuses. Now the thing is, those so-called excuses still might ACTUALLY be the reality. 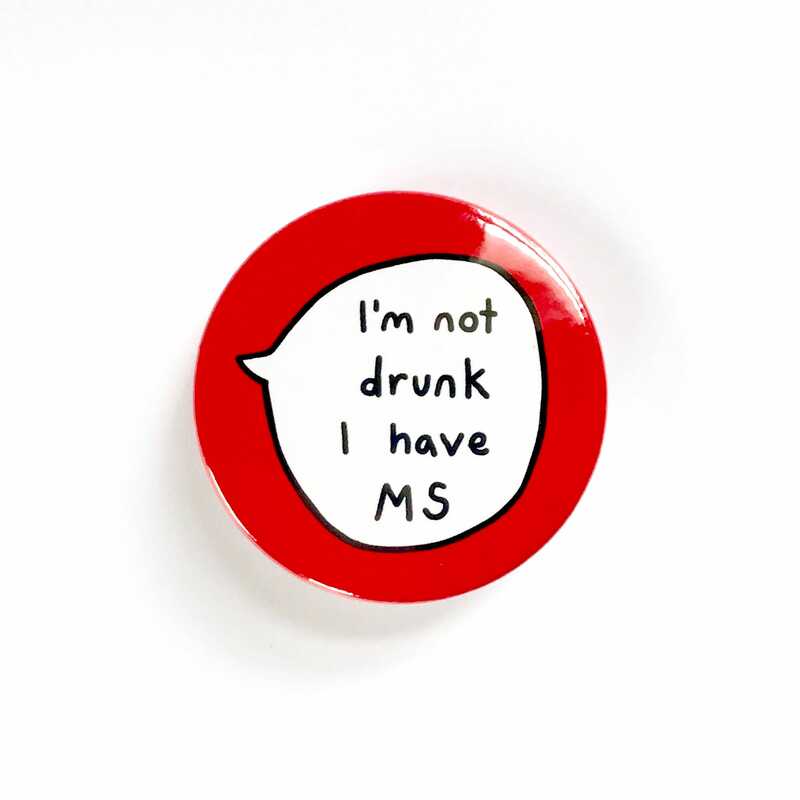 The trouble with MS, and the thing that I’m most struggling to come to terms with, is that a lot of things that are symptoms, might just be how I am anyway. Some things might just be who Jo is. Some might be Jo with MS. The thing is, it doesn’t really matter. I know that. It’s just actually accepting that that’s challenging. There are some symptoms that are unmistakably MS though, and it’s important to note that these things aren’t a permanent fixture. They go through waves of severity. I might just wake up with it one morning and by midday they’re not even there anymore. Other days, they might be there, but so insignificant, I’m not even aware of it’s presence.